I have several macs both at home and at work, and I keep asking myself all the time the same questions when I have to re-install a Mac. What software do I really use all the time and that I'd reinstall ? So here goes my personal list, feel free to add any piece that I should have added. Optional software in italic as well. I'm not adding standard software provided with OS X.
Eventbox: flickr, twitter, facebook client -> It's now called Socialite. Firefox : my favourite browser with tons of stuff from userscripts.org. Testing out Chrome now as an alternative. Apple Aperture : manage and edit your photos professionally (use this for pix taken with my Canon EOS 5D Mark II) - I use Aperture version 3 that has all the great features of iPhoto. I was looking to do just that with Socialite (by far my best client for the social web on OSX), and came across this great how-to guide, but that needs precisions. Steps 1 to 5 are instructions for the FIRST computer. You will have to do different steps (and repeat) for each computer you want to sync with afterwards. Step 4 assumes your Dropbox folder is in ~/ (home directory). Change command to whatever you are using. If the folder name you created in Step 1 is not the one proposed, change the name correctly here. step 2: yes, quit socialite on the 2nd mac if it was running. I'm assuming here it was installed properly. DON'T RELAUNCH IT until all the configuration is done. step 5 : not yet. You need to sync keychains first. Step 4 is a bit confusing. I had 2 twitter.com entries (maybe another program was using it too. But I only use socialite anyways. You should only have one entry, the others are either from previous installs, or from another program). well this was not described. Launch "Keychain Access.app". Import Items menu. Navigate to your Dropbox folder, and select the Keychain file created in Step 2 of "keychains on the 1st computer). 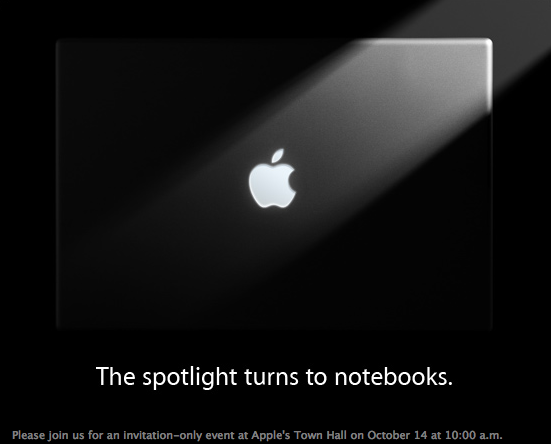 And with that you're all set, to sync across several macs. All your searches, feeds, read/unread, starred, etc. will appear. The remaining problem, is that YOU CANNOT USE 2 open socialite.apps at the same time (unless I'm wrong here). That's because each will try to write to the SQL file, and you will get conflicting copies. Dropbox will treat them as separate files. So good hygiene is to open Socialite only on one computer; but whenever you open it on another one (after closing it on the 1st computer), you should be fine. folks tracking customer support (for example) on different shifts. When the first commercial computers came out in the 60s, they were so expensive that time-sharing was invented: people had to queue to get time on them (read accounts of those days: Hackers: Heroes of the Computer Revolution or Hard Drive: Bill Gates and the Making of the Microsoft Empire ). In the 70s, minicomputers allowed for a larger distribution on computing power, opening the era of client-server computing. The 80s were then ready for the Personal Computer era, where most semi-basic work (spreadsheet, accounting, word processing, desktop publishing, etc.) could be done locally. That paradigm lasted until the mid-90s when the world-wide-web arrived on the consumer scene; and we all started putting back processing power in a central computer, the web server associated with a site. Local computers tended to behave again like a dumb terminal (à la VT100) with a browser. But users still did lots of stuff locally (email, photography, video editing, etc.). 10-15 years later (around 2004 with Flickr's API launch), the paradigm changed again. Browsers got intelligent (with AJAX and HTML5 soon), enabling local processing power and more importantly, mashups (Wired magazine had a very interesting article covering this trend very early on - maybe I'll find it), allowing (either on client-side or server-side) mixing of several sites/services, to create a new service. The central computer (company) is not one anymore, but a number of them. Hence the term cloud-computing was minted to described this new "central computer" consisting of many "central computers" (actually in the tens of thousands now, to compensate for scalability. Check slideshare for horror stories). Hence, to me, the real challenge of cloud computing now is not the processing layer: that was solved with the evolution of the web. It's still the presentation layer for many devices (but many folks are working on that now). It's all about the data layer. It's how do I get a seamless computing experience, whatever my device (even if it's not mine), wherever I am, today and tomorrow ? is your Mac running slow ? a few tricks to improve hard disk performance ! 1) full backup of your laptop (works for any desktop too) to an external hard drive using firewire or USB. I love SuperDuper (free for a full backup, $27.95 for incremental backups - well worth it in my opinion) for this. I wouldn't miss this step, as you never know what might go wrong in the next steps. 2) boot your laptop from another computer (Mac) in target mode (press T on your laptop keyboard when you boot it, after connecting it with a firewire cable to another Mac). Your laptop has now become just an external hard disk, it's easier to work with it, and you'll be using only programs on the other computer. Make sure you use the same operating system version on both computers !!! (I'm running Snow Leopard 10.6.2). 3) run a full disk check with Disk Utility (a standard tool on OSX). Make sure you run "repair" on your external laptop disk, until there are no more errors left. These tend to occur every now and then (bad directory count, bad file count, etc.). 4) Now, let's optimize the directory structure so that the OS finds your files really fast. DiskWarrior 4 ($99,95 - a very expensive tool, but sometimes necessary for other purposes, such as a crashed disk) will do this for you. Think of it as a directory defragmenter, although it builds it from scratch. 5) now let's defrag your disk. Indeed all official Apple literature will tell you it makes no difference, but indeed, the disk tends to become fragmented, and therefore add the milliseconds for reading, moving the disk head, etc. and it starts to slow down. Another utility, Drive Genius 2 ($99 - very useful, and it does other things for you too) will do that for you. 6) (optional). Drive Genius also has an option to find useless files (PowerPC or x64 versions), duplicate files, etc. you might want to run this to free up some space, although it won't really impact performance. 7) one you're done, boot your laptop again, it should be faster and run as smoothly as before. If you get any problem after a while, just restore your backup to the previous state. If after one day everything is working just fine, then you can do a new full backup with SuperDuper to an external disk (unless you had 2 disks, then you could immediately do a new backup of your optimized laptop. It's actually a great idea to have 2 backups that you use on a rolling basis). Remember that in case your laptop is stolen, or your laptop falls and is broken (both situations have happened to me), you can immediately boot of this external backup, and start working. How much is your data and your time worth ? Much more than the small money and time spent doing regular backups I'm sure ! I know it's a chore to use all these different programs (that should have been included by default with OSX), but a proper power user should not live without them, and not have at least 2 backups of his data (in addition to a potential Time Machine backup drive for incremental versions of files). There's another program I use to undelete files I deleted by accident (mainly on my picture external CF cards, but you never know): Data Rescue 3 ($99 - save $49 if you buy it as a bundle with Drive Genius). I'm eager to read about your power user tips as well. 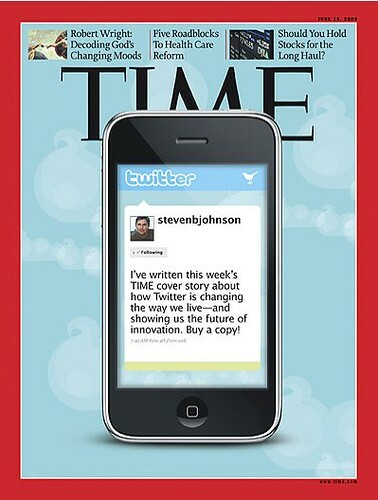 Time Magazine Twitter, originally uploaded by Stephane Zibi. With the economic downturn, I was wondering what were the indispensable services that I need to continue my daily life, even if some of them disappear ? - dl.free.fr to share big files by email. I'm sure there are better services out there. any suggestions? - I really like Spotify, although I occasionally use deezer.com, last.fm. Blip.fm is already a favourite up there already. - and I like reading about photography at KenRockwell.com and dpreview.com. - I now occasionally go to read up on gigaom.com, techcrunch.com for tech news. occasionally. - and also occasionally for geek stuff on engadget.com. - A big absent here is news of the world (main news and financial news): it seems to me it has become a total commodity, and google is a better alternative to search for a story than a main media site although I would still check 20minutes.fr, lemonde.fr, nytimes.com, cnn.com every now and then. Note that RSS readers and other blog search platforms are not there anymore (technorati & co). In each category (except for travel, as I look for the best price), I'm down to just ONE service, and have no interest in being present in others. Some of the big guys are still there (Yahoo!, Google), some others not (Microsoft, News Corp), and still a few small independent services manage to grab a lot of my attention (twitter for example). 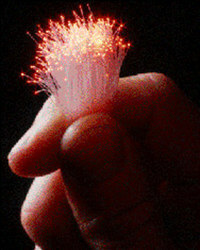 only ONE service is different on my mobile phone, and i use many of the mobile versions (Google Maps, Gmail, ...). I don't seem to trust online services for my backups (as in me.com & other storage services), and have no real need for cloud computing on a personal level. And I don't yet really use any of the SaaS toots either : Google Docs, Salesforce & co.
Computer gear for sale, originally uploaded by rsepulveda. I bought this card by mistake last month at the Apple Store in San Francisco. 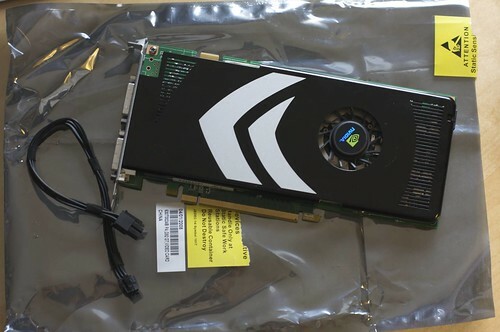 I told them I had a 1st generation MacPro; but this card if for newer Mac Pros (early 2008). It's in pristine condition, although I only have the card, cable and little bag, as I left the packaging in the USA.